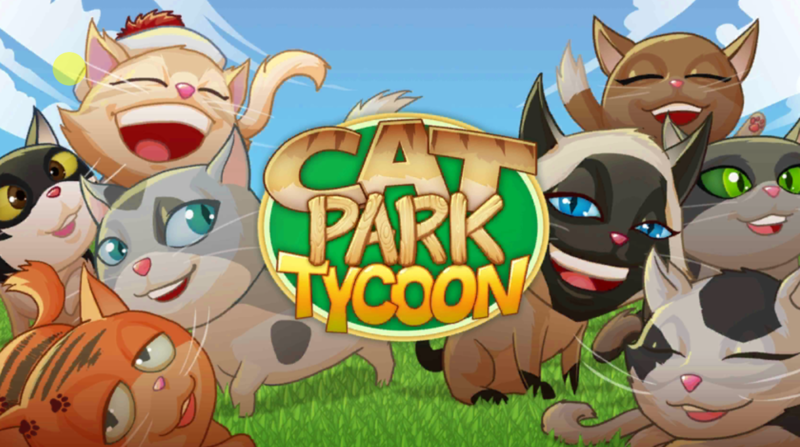 Cat Park Tycoon is a free to play app by shinypix that can be downloaded from the Google Play Store and iTunes Store. It is a theme park simulator, or better yet, a zoo sim with only cats. 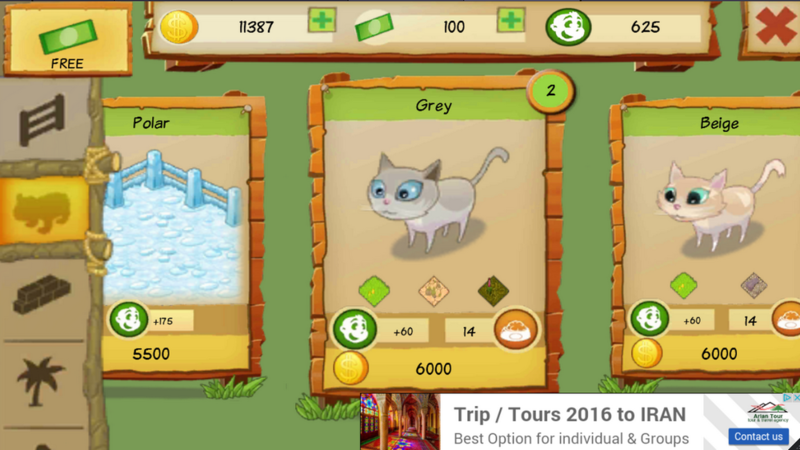 The cats that you are displaying in Cat Park Tycoon need frequent maintenance – this app seems to require active gameplay. You will find that every couple of seconds, a cat goes hungry or requires a medicine because it got sick. Not only that, the plants that you put down in your Cat Park require water and toilets require maintenance. The graphics of this game app are mediocre; they’re not necessarily bad, but they’re not of high quality, either. Either way, the cats in Cat Park Tycoon look adorable enough. 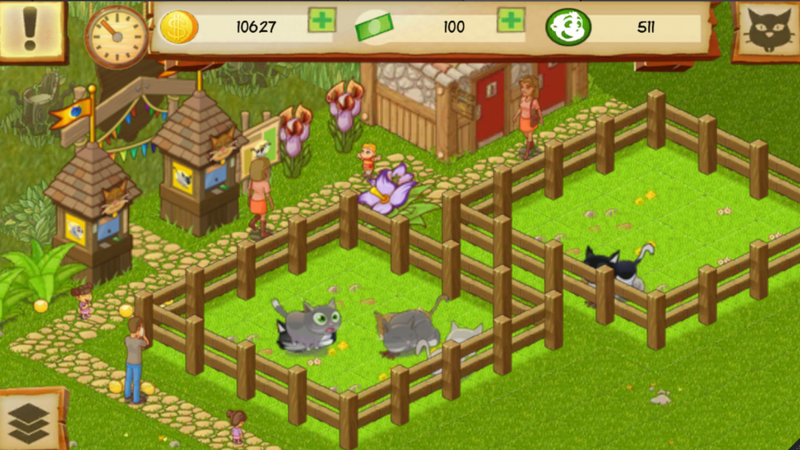 The people are decently designed and the same goes for the backgrounds and other assets of your Cat Park in this game. This game does not seem to come with any background music, which I find very unfortunate. A cheerful little tune in the background would have made this game much more attractive. In fact, I am often looking for a nice little app to run in the background while I am working on the computer – what I like, is to continue hearing a nice tune. So unfortunately, that is not the cause for this game. The sound effects are basic. 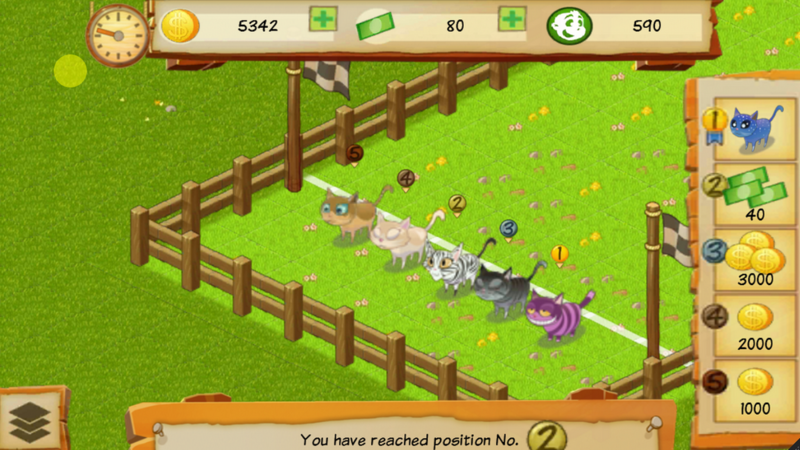 All in app, Cat Park Tycoon is a decent app to play. It requires constant attention, so it is definitely not an idle game. Because this game lacks background music, I find it to be a little bit boring. The graphics are not of the highest quality, but they are decent enough. If you love cats, you are more than likely to give Cat Park Tycoon a go.